President Rodrigo Duterte finally made a statement after the July 12 Tribunal ruling that gave way to Philippine sovereignty over the West Philippine Sea and he said; We are now ready to conduct bilateral talks with China but this time in a better position – since the international law sided with us. Budget Secretary Benjamin Diokno said this during an ambush interview recently. The decission came handy after great efforts from the previous administration were exhausted to win the case at the Hague – and at this point, the hard part in the enforcement of the ruling fell upon the heads of the new administration under Duterte. 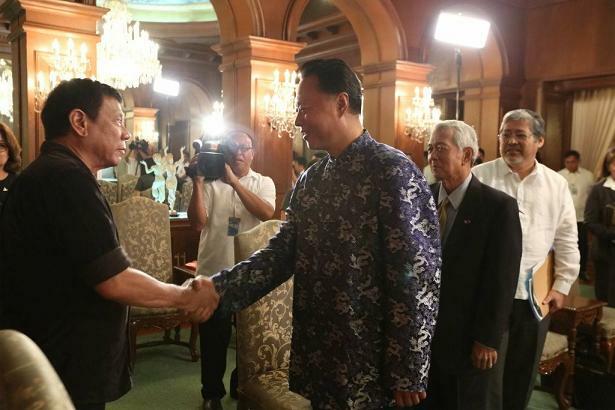 Many could have guessed it wrong that either Duterte will submit to China’s wishes or join the super powers to let China obey the international verdict – as a tough-talking president. Justice secretary Vitaliano Aguirre did mentioned that discussions in the Cabinet meeting included how to go about the next steps after the ruling.Malacañang for sure would proceed with restraint and sobriety in maintaining friendly relations with China. It did not elaborate however if Duterte would pursue the joint exploration of the natural resources now that we have the advantage over them because of the disagreement by other countries that are concerned with the freedom of navigation. China might be too stubborn to let go of this part of the South China Sea but at least in the eyes of the international community the West Philippine Sea belongs to the Philippines.